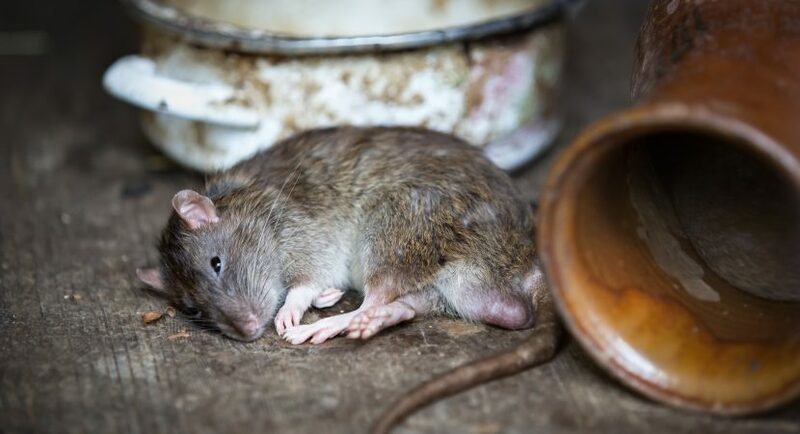 As horrible as they are, at some point, most of us have had an invasion of rodents, bugs, insects and other horrible and unwanted pests in our home. It can be tempting to bury our heads in the sand when we first spot signs of an infestation and hope that they go away, but instead of waiting for them to get their feet in the door and make themselves at home, why not get ahead of them and try out some of the tips we have shared below. It will hopefully stop them from getting in there to start with, but if not, it will get rid of the problem before it becomes unmanageable. These critters might be tiny, but they can be incredibly irritating, not to mention vile. They can come to your house on fruit. You may not see the eggs hidden on them, but when you get them home, they hatch in the warmer environment, leading to an infestation. To stop this from happening, make sure that you wash any fruit that you have purchased or anything that may have touched them, as soon as you bring it into the home. You don’t have to spend ages doing this or buy anything special, just make up a really basic mixture of water and baking soda, which has the added benefit of cleaning up any pesticides and allow the fruit sit in for a few minutes. Take it out of the solution and dry thoroughly before storing it appropriately. Fruit flies are also drawn to fruit which has gone past it’s best and has begun to ferment. If you don’t think you will eat the fruit before it goes off, put it in the freezer. If you already have fruit flies in your kitchen, try this natural solution: pour some apple cider vinegar (available from most health food stores) into a container and cover the top with some plastic wrap. Make sure it is secured onto the bottle with a rubber band. Use something sharp to make a small hole into the plastic wrap. The fruit flies will be attracted to the scent of the apple cider vinegar and will crawl in or fly through the hole and be trapped underneath the wrap. These are everyone’s worst nightmare because once you have them, they’re very hard to get rid of. Even the thought of them is enough to make most people itch! Stopping them from coming into your home is much better and much easier than getting them out of your home. Use covers with zips to protect your mattress, and wash them on a hot setting regularly. They love hiding in the mattress, so even if you do have a cover, remember to check regularly and vacuum to remove any eggs that may have been laid. If you buy any furniture which is upholstered, whether it is from a thrift store or brand new, give it a thorough checking over before you bring it into your home. They love to linger under tags, in seams and zippers, so inspect those closely. A pervasive way of them coming into the house is on clothes after a stay in a hotel. If you do go to a hotel and you suspect any bed bugs, wash all of your clothes as soon as you get home and put them in the dryer on a hot setting to kill eggs. While these creatures can look cute and cuddly, the damage that squirrels can cause if they get into your home is devastating. They can chew through cables and pipes, which of course can be a fire risk. They tend to get in through unscreened chimneys and vents, so it is important to cover both with mesh screens. This will also prevent other unwanted visitors from coming into your house. Kep any branches that touch your home, or are within six feet of the house trimmed back. Unfortunately, getting rid of squirrels can be quite complicated, and it is one job that is best left to professionals that know all about pest control. Many states have laws on trapping and releasing wildlife, so if you have any doubt at all, do not attempt to do it yourself. The easiest way of stopping rodents coming into your house is to seal it up. Like we mentioned above, cover chimneys and vents but also have a look around the exterior for any cracks or gaps and fill them in. Mice will look for even the smallest of holes to get in, so check for cracks in the foundations, roof shingles or tiles that are missing and gaps around pipes or wires coming into the house. While expanding caulk seems like a quick fix in sealing these gaps, it can often be a false economy as they will merely chomp straight through it. It is also essential to keep both your home and the land surrounding it clean and void of any litter. Empty out the trash and clean up any spills straight away so that you are not creating another food source for them. If you can, keep trash cans as far away from the house as possible and make sure it has a lid and is cleaned on a regular basis. Sinks and drains, which often hold a lot of nasty stuff, make excellent food sources and breeding grounds for insects, particularly flies, so keep these clean and in good condition. It is also important to consider the outside of your property. Again, cut down any branches or bushes that might be touching your property as they may act as a bridge into your house for many pests. If you have mulch or wood chippings in the yard, consider changing it to something that gets less damp and warm, such as concrete or stone chippings as these are much less attractive to pests. Hopefully, by following these tips, you will stop any unwanted visitors to your home. Remember, prevention is ALWAYS better than cure when it comes to pests!